The Bruce Eskovitz Jazz Orchestra (BEJO) performed at the LACMA on Black Friday. Many of my students and parents, and friends from Saint Mark came to enjoy the concert and to support me. 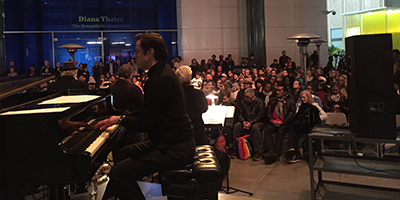 Ours was the last performance of LACMA’s Jazz Concert Series for the season, and will resume in April of 2016.